Features more than 200 different LEGO builds! A mixture of simple, medium, and complex models. Building on the success of wildly popular LEGO Ideas Book, the LEGO Play Hardcover Book includes innovative ways to encourage kids to think, build, and play creatively.Featuring more than 200 different LEGO builds, this fun guide encourages readers to use their imagination and play in unique ways, creating amazing LEGO models of their very own. Featuring a mixture of simple, medium, and complex models, the LEGO Play Hardcover Book will teach builders tips and tricks to get the most out of their blocks. 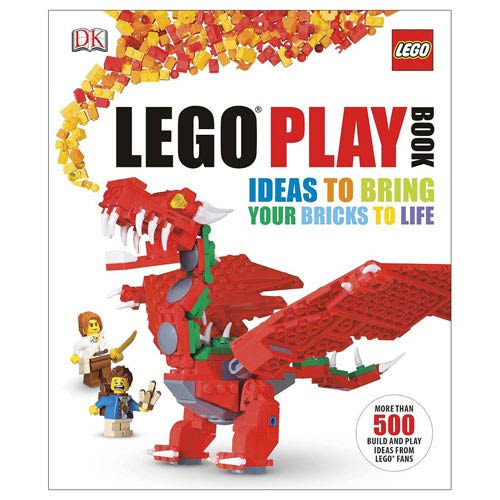 Includes 200 pages with 10-minute builds, a "cool brick" feature with ideas for usng key LEGO bricks, and a "handful of bricks" section exploring what can be done with a limited collection of LEGO bricks. Recommended for ages 7 and up.